Downtime is every data center’s worst fear. A data center runs around the clock. With many businesses moving to using the internet to provide customers with constant service, downtime can be a major loss in revenue. But downtime does not only effect the customer, it effects the business, and it’s bottom line, as a whole. Downtime is a loss of both time and money for everyone. In an ideal world for data centers, downtime should never happen. According to Dunn and Bradstreet, “59 perfect of Fortune 500 companies experience a minimum of 1.6 hours of downtime per week.” This results in millions upon millions of money lost per year. Downtime costs can vary significantly in different industries, but ultimately, no industry wants to experience downtime. When a business is primarily run on the internet, downtime can effectively shut down the operation of the business entirely. To an owner of a web based company, this is simply not an option. If you are a web only retailer or company, you cannot complete sales if the system is unavailable. Lost sales equal many lost or frustrated customers, some of whom may simply go to a competitor’s website to make a purchase. The loss of a sale and of a loyal customer can be devastating to a web based company in the long run. Even if your business is not entirely based on the internet, downtime can make even the most basic functions of a business impossible to complete. Not only are you paying for the downtime because your business is not functioning, internet sales may not be happening, but also, you are paying your employees who may not even be able to complete the tasks they are paid to do because of downtime. It may sound extreme that a business could lose millions of dollars on downtime per year but it is a reality and that is why downtime needs to be avoided. The key is to anticipate potential problems, whether it be heating and cooling, power supply or anything else, and mitigate any risks that could be lingering. By investing in a safe and reliable data center you can see a lot of return on your investment. It is important to use a company that can properly design and maintain your data center. By having a properly designed data center you can anticipate heating and cooling needs, make sure there is proper ventilation and power supply and use things like an uninterruptible power supply (UPS) to make sure that even if there is a power problem, you have a backup supply of power to ensure you business continues running as normal. Professional data center design businesses can ensure that you will be able to keep running your business and save you a lot of money down the line by avoiding downtime. 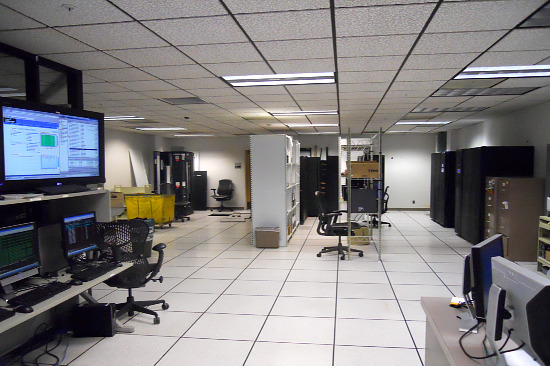 This entry was posted in Back-up Power Industry, data center maintenance, Titan Power, Uninterruptible Power Supply, UPS Maintenance and tagged Data Center, data center maintenance, Emergency Power Systems, Uninterruptible Power Supply. Bookmark the permalink.